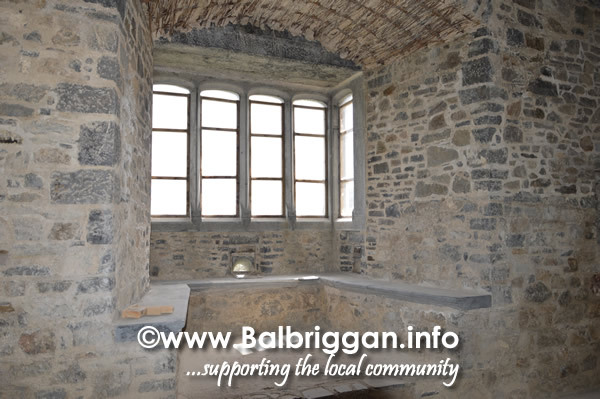 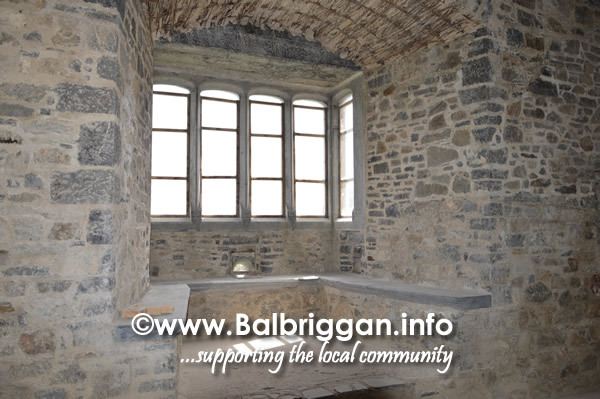 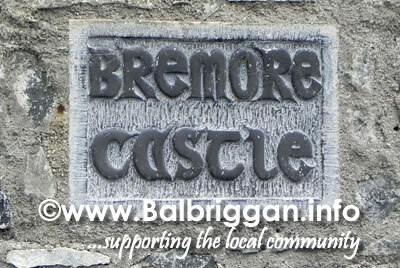 Today we had the pleasure of visiting Bremore Castle to take some photographs and show the great work that is being done to restore this impressive castle. 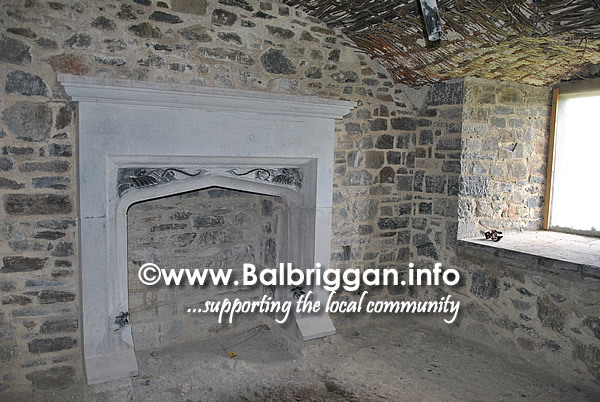 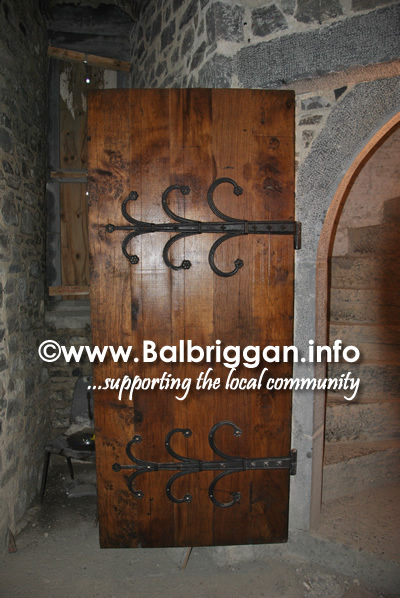 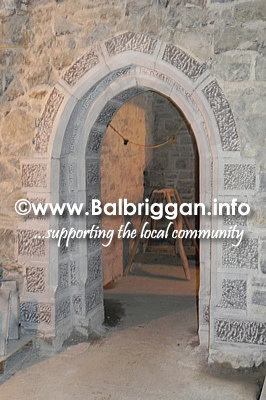 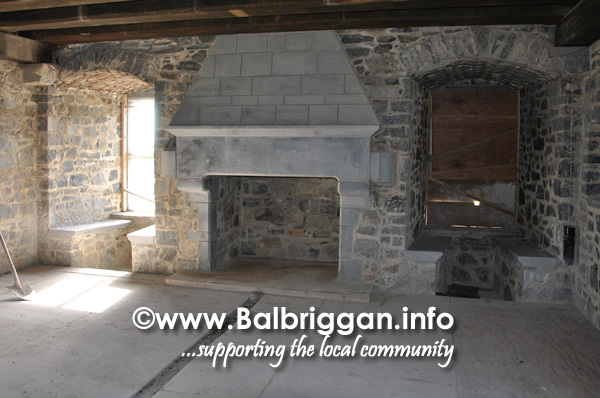 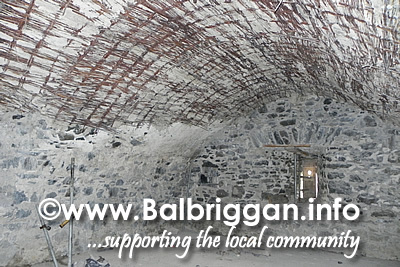 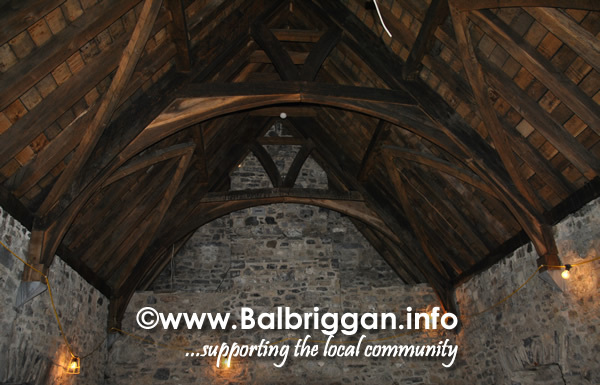 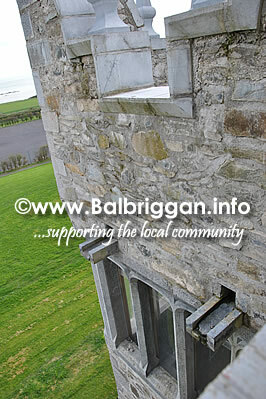 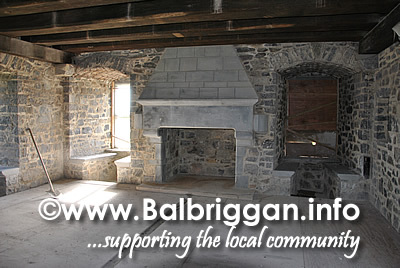 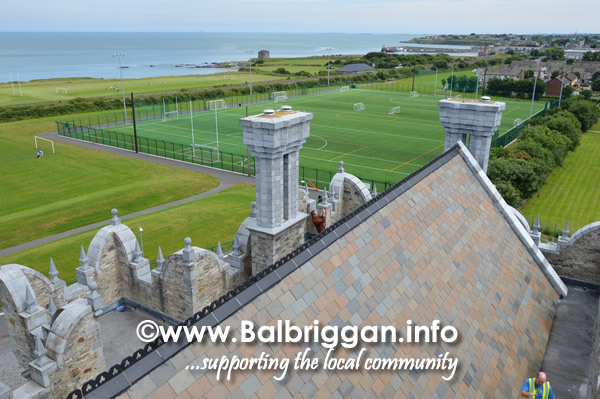 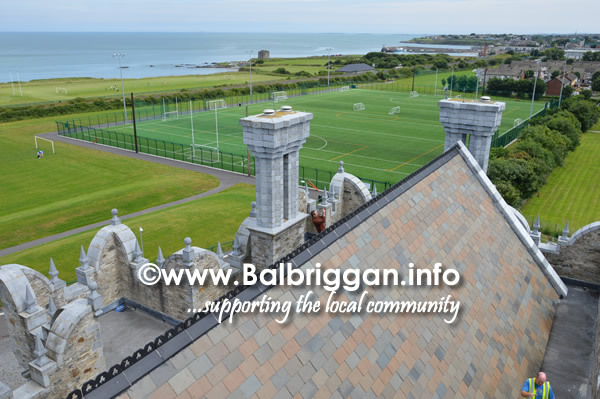 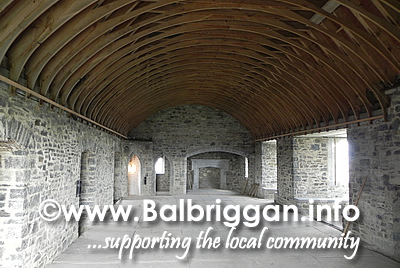 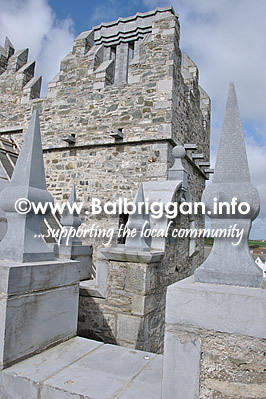 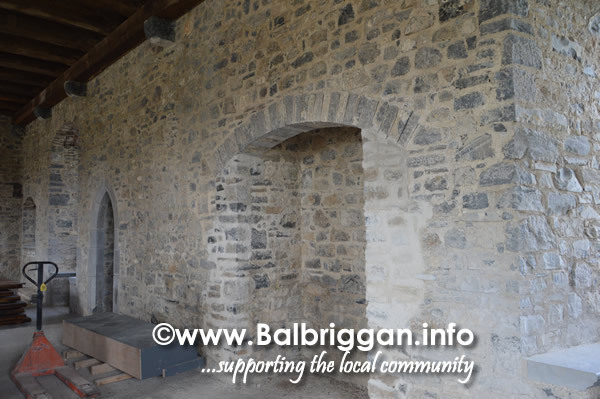 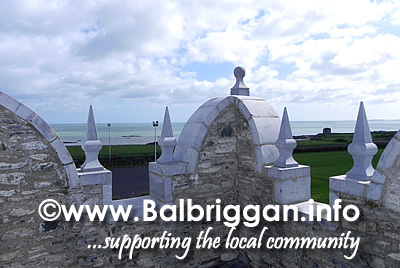 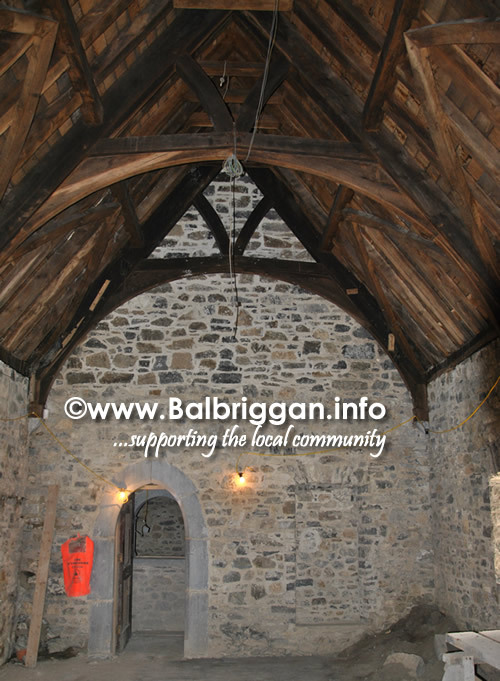 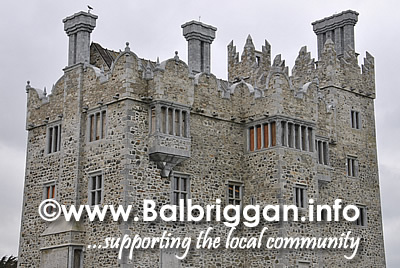 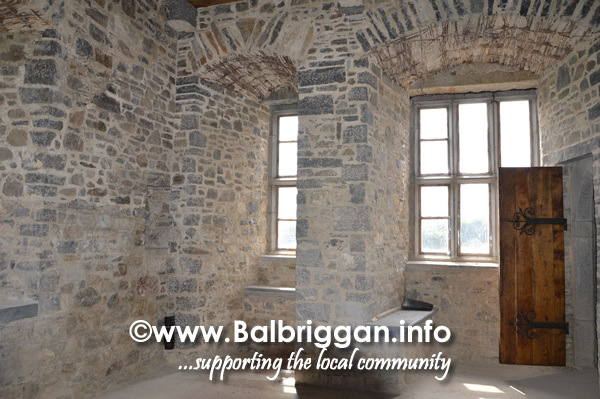 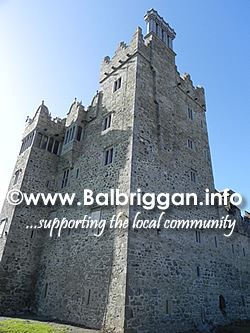 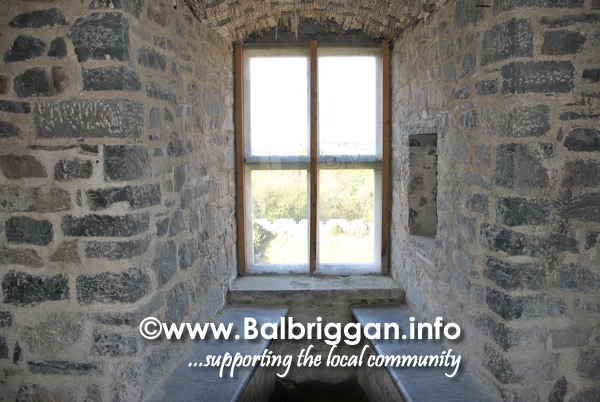 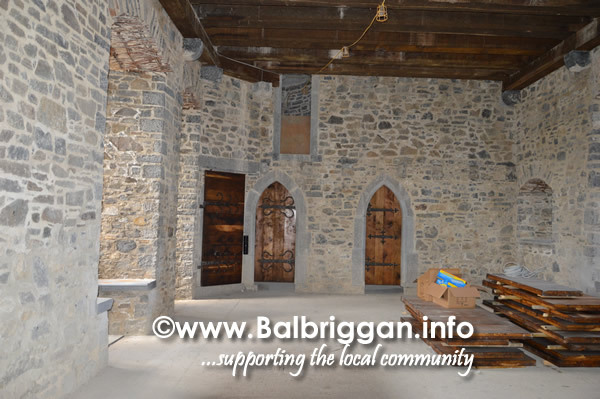 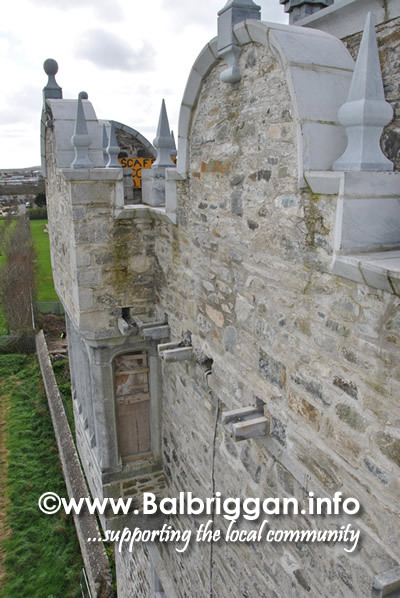 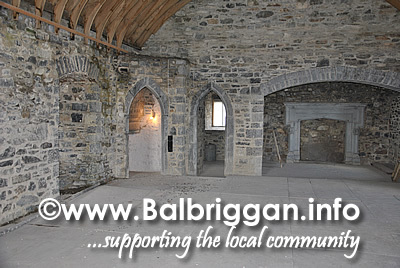 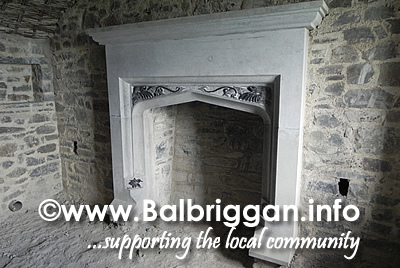 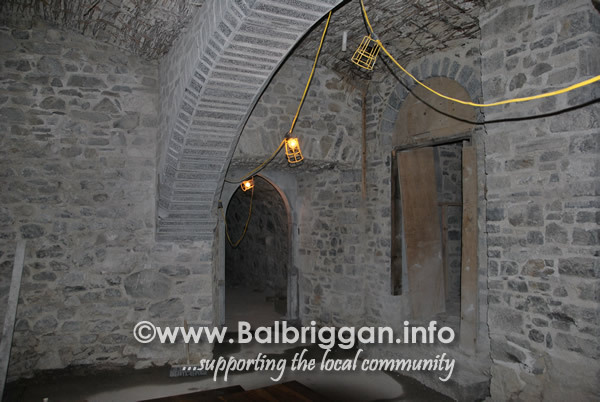 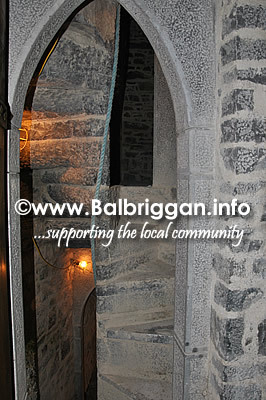 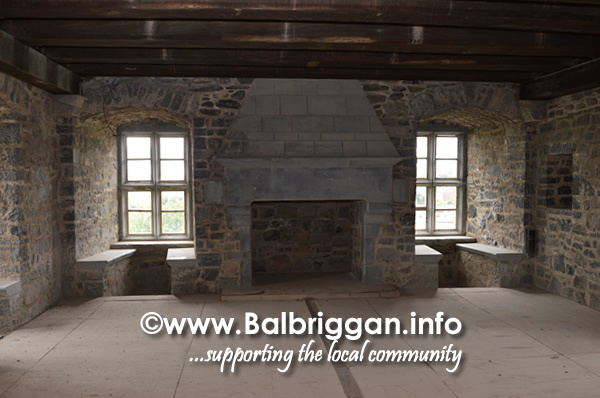 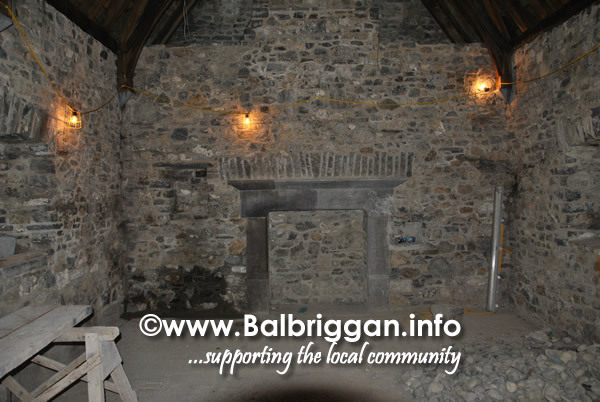 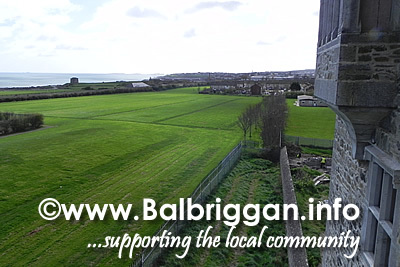 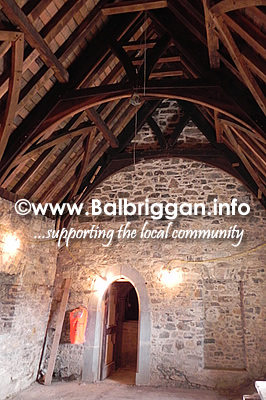 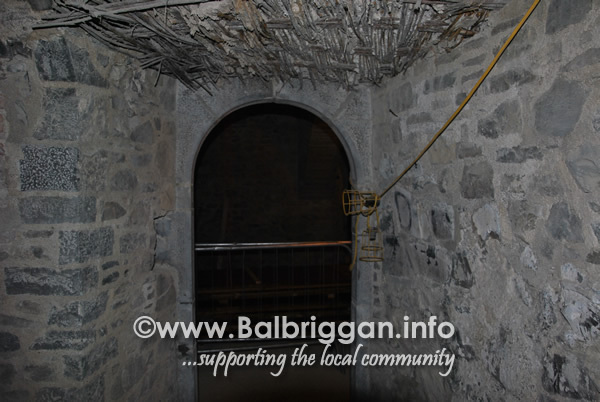 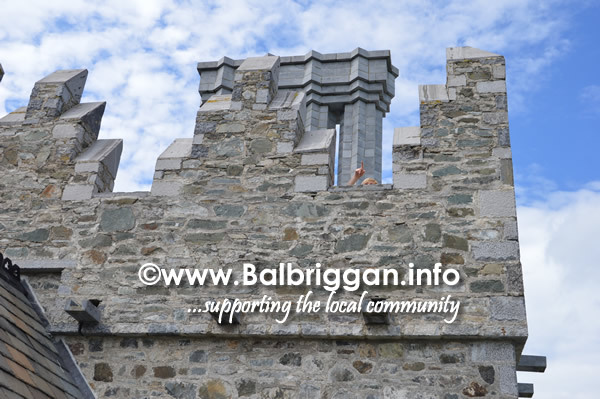 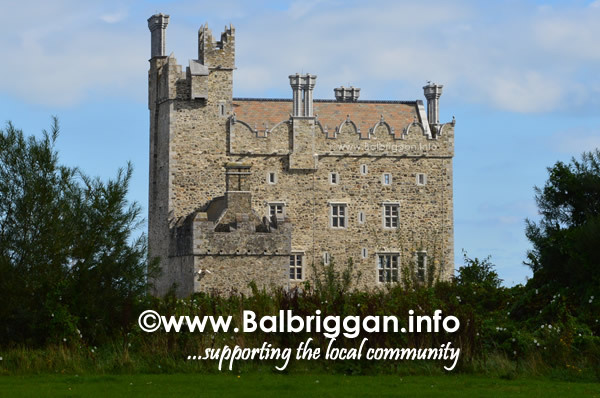 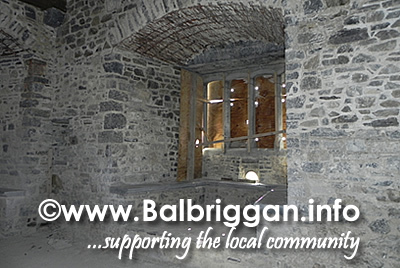 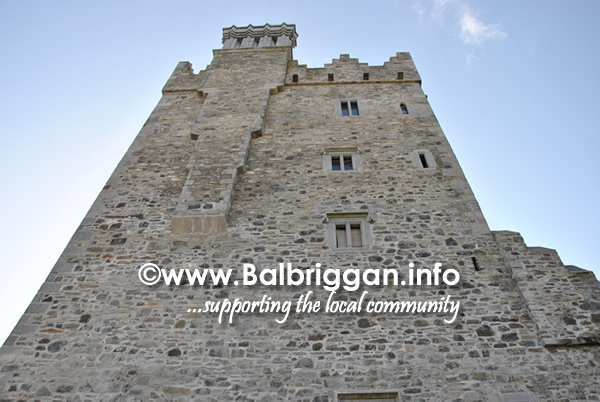 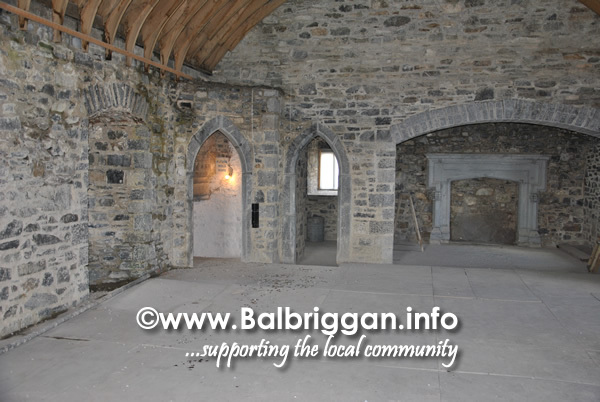 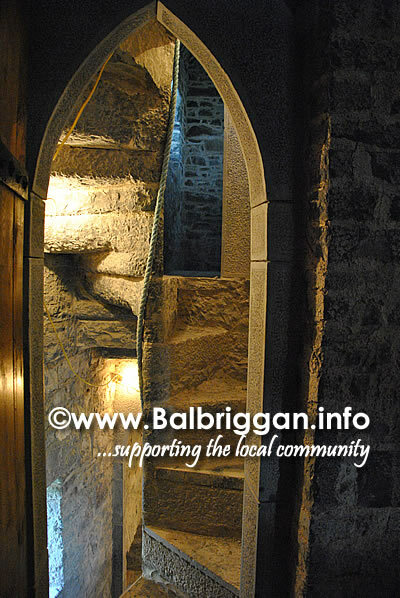 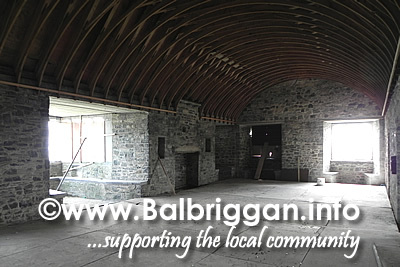 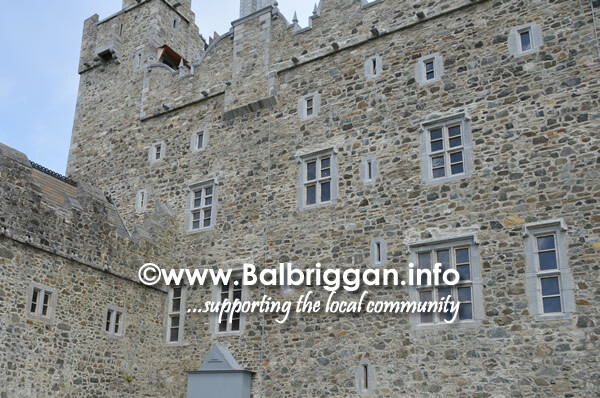 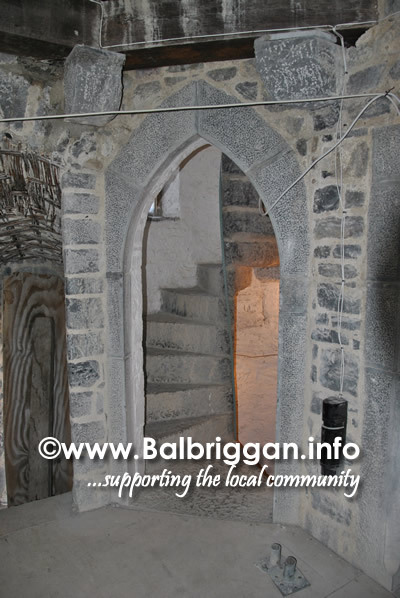 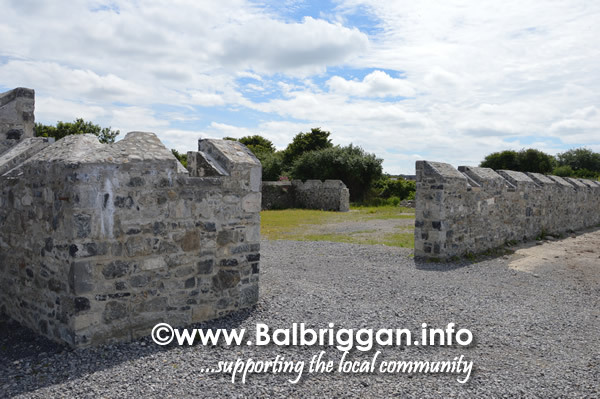 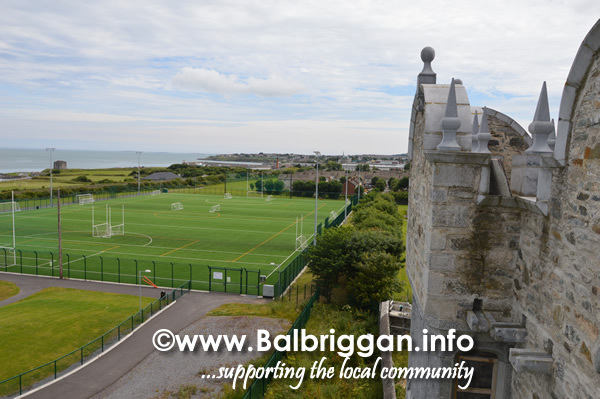 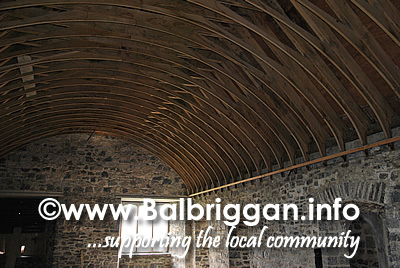 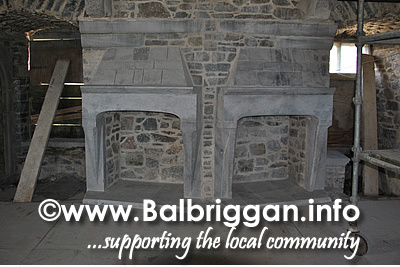 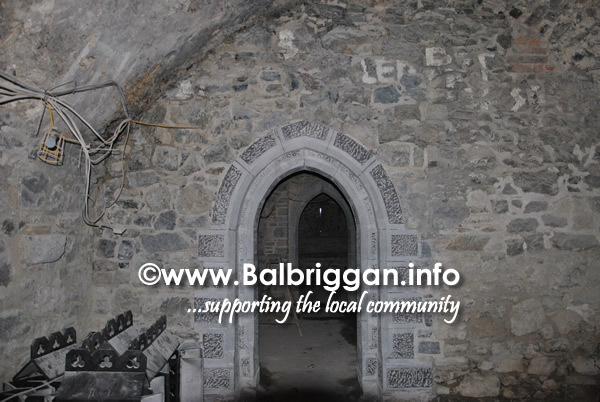 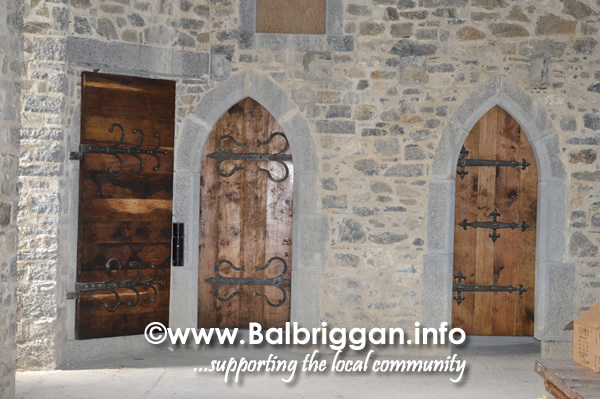 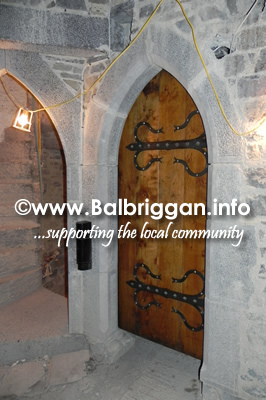 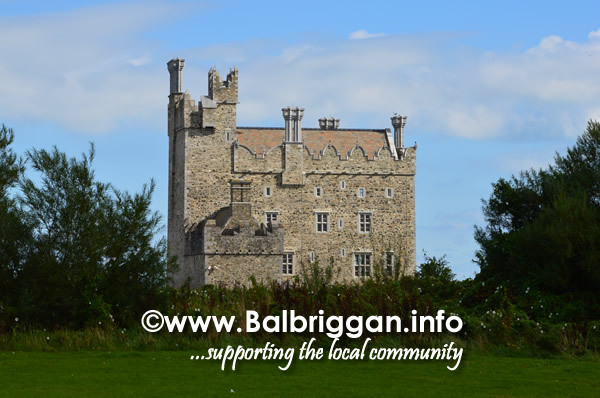 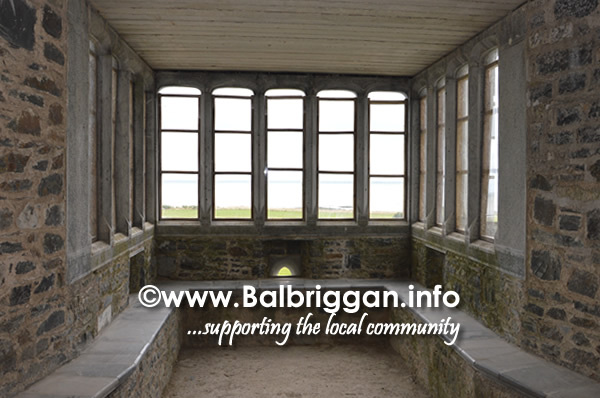 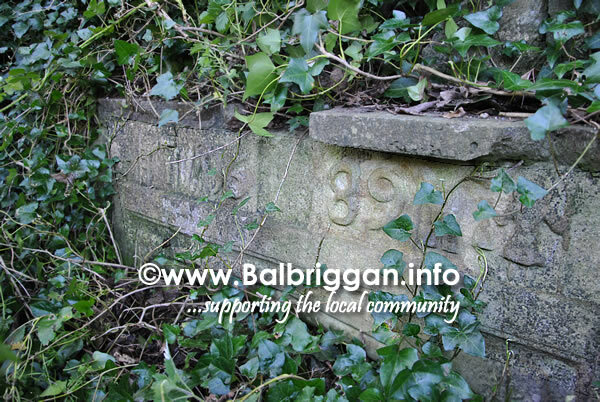 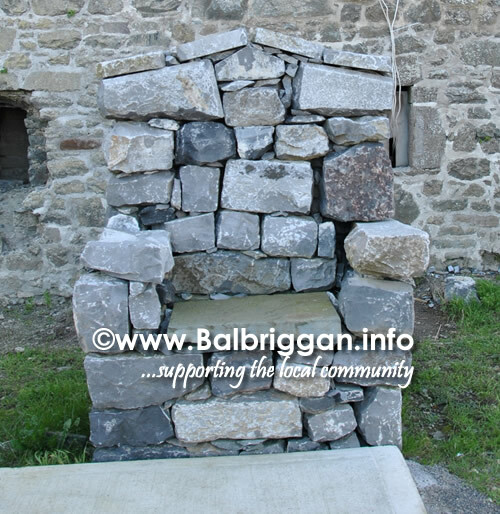 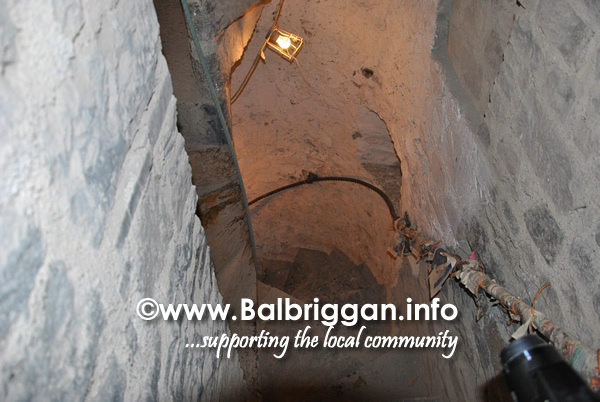 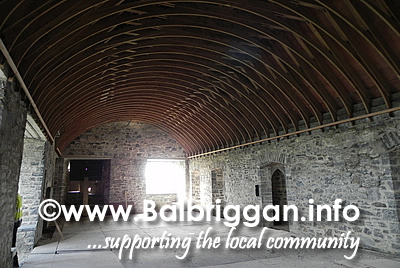 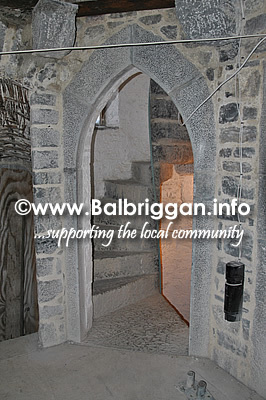 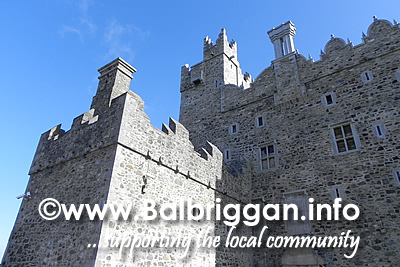 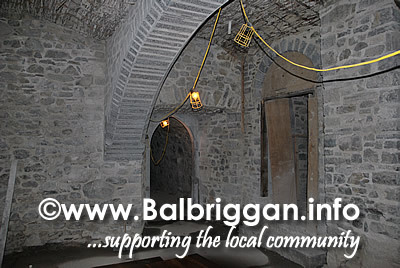 Built around the 16th century, the castle was the home of the Barnewall family but had fallen into disrepair and the upper stories had collapsed however, over the last number of year Fingal County Council, in conjunction with FAS and Balbriggan & District Historical Society are restoring the castle based on how the castle appears in antiquarian drawings. 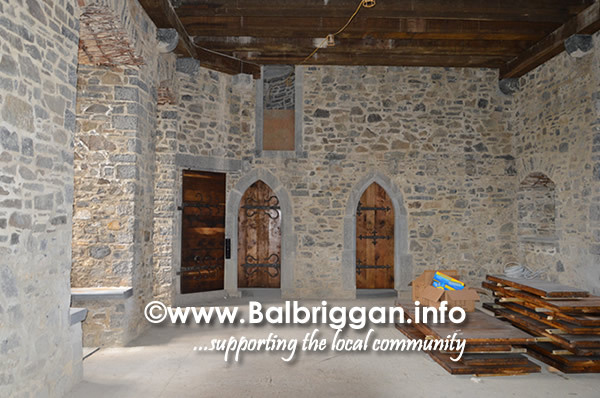 The exterior stonework has recently been completed and the extensive scaffolding has been removed. 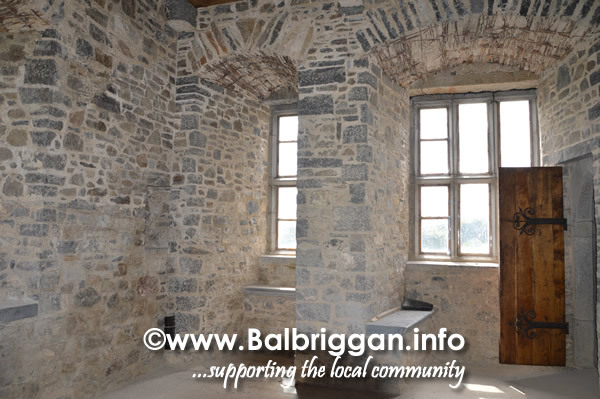 The focus now is on weatherproofing the building and on the internal fit out of the castle which is estimated will take up to two years to complete. 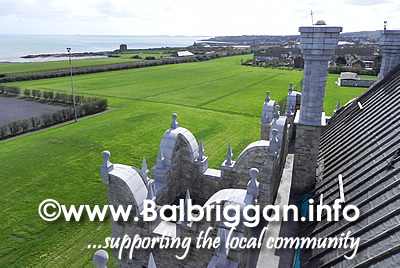 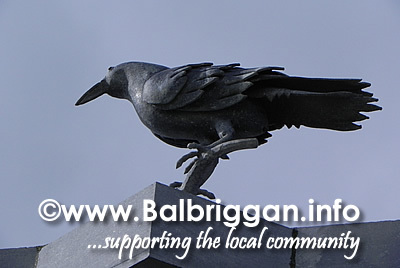 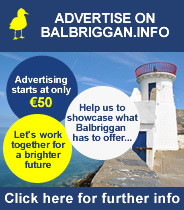 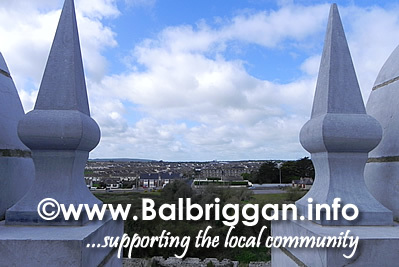 In the past year FÁS has been replaced by the Dublin & Dún Laoghaire Education & Training Board (DDLETB) as providers of the Local Training Initiative. 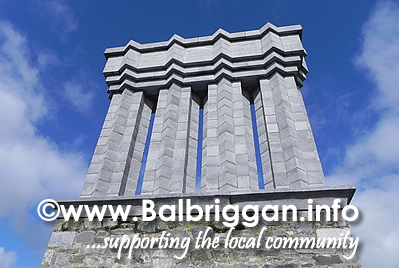 14 trainees have progressed to full employment from this Local Training Initiative. 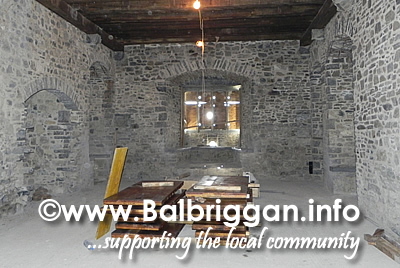 The work being done is slow due to the nature of the work being undertaken. 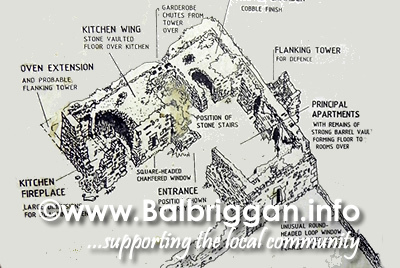 Stone masons are present in the grounds of the castle chipping away at the stone as the castle is rebuilt stone by stone. 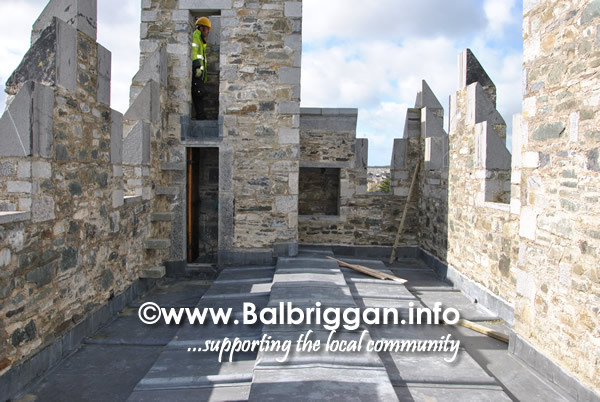 The costs associated with the restoration can also not be ignored. 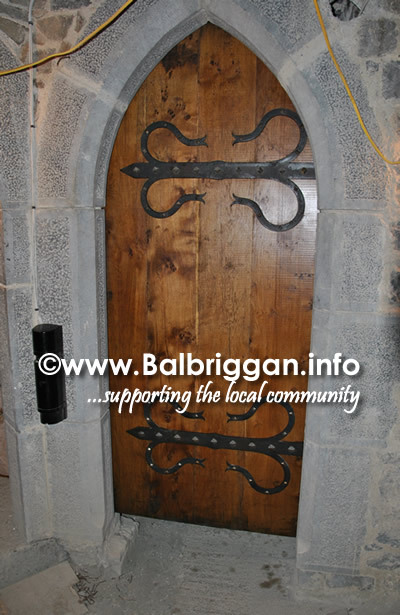 Such a large castle can eat into funds very quickly with materials such as lime, stone, the fantastic oak for the doors and the ironmongery. 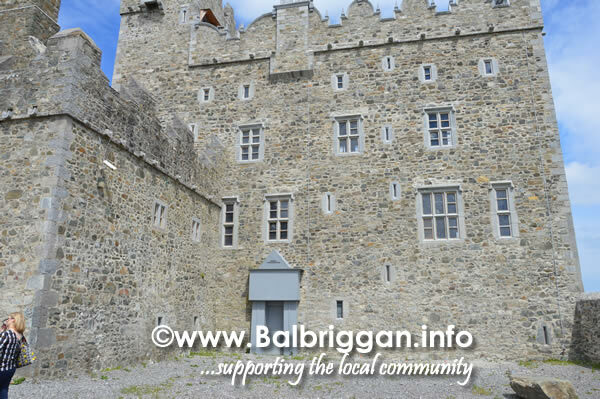 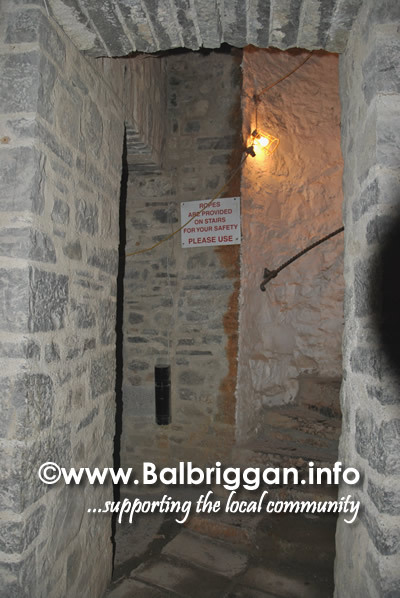 It was a absolute pleasure to see the extensive and sensitive restoration to return the castle to it’s former 16th century glory and we would like to thank Kevin Halpenny and our guide Barry McConville for his most informative and interesting tour.